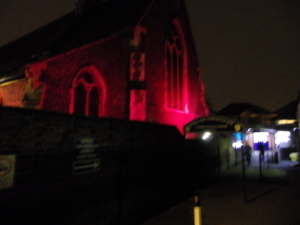 From Sunday 25 November to Sunday 2 December the outside of Our Lady Immaculate Church in Chelmsford will be lit up in red as a sign of solidarity and support for Faith and Freedom. The event is supported by Aid to the Church in Need which is a Pontifical Foundation of the Catholic Church supporting the Catholics and other Christians around the world who are persecuted, oppressed or in pastoral need. The 12.30 pm Mass on Wednesday 28 November will be offered for all persecuted Christians. All are welcome.